Younger You, In Just 10 Days With SK-II Stempower! You are here:Home » SK-II » Younger You, In Just 10 Days With SK-II Stempower! Ladies, here are more reasons for you to love SK-II! As we aged, we need to spend more time on our skin, pampering it like our precious baby. While many splurge on branded cosmetics to look good, interestingly, they save on skincare products. Well, if you're one of those, start paying more attention to your beauty regimen now so you won't have to spend a lot of money going to facials & spas. After cleansing your face, gently pat face & neck with cotton pad soaked with Treatment Essence, The Miracle Water, By SK-II. 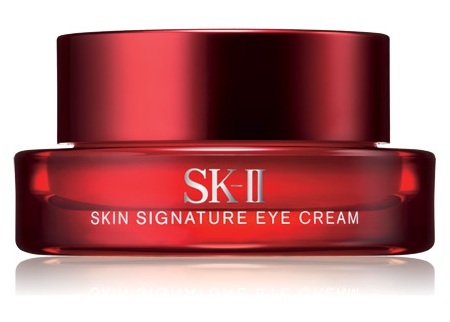 Smooth a pearl size of SK-II Skin Signature Eye Cream around the eye area. Using ring finger, gently massage till thoroughly absorbed. Click on the link above to see my review with before & after pictures! Skin ageing signs often seem to appear one after another & the natural tendency is to find a solution to fix each of these signs as they appear. If you skin is showing signs of ageing, try the New STEMPOWER, an essential daily moisturizer designed to achieve radical firmness in just 10 days! Read about our media event @ Travel Through Time With SK-II StemPower Workshop At JetQuay! After your eye-cream, apply SK-II STEMPOWER over the entire face. Let it blend into your skin by pressing with your palms. SK-II STEMPOWER: The latest breakthrough focusing on the source of skin’s beauty. To attain optimal results, a combined regimen of SK-II STEMPOWER & SK-II STEMPOWER Rich Cream can help skin to achieve up to twice as much radical firmness! 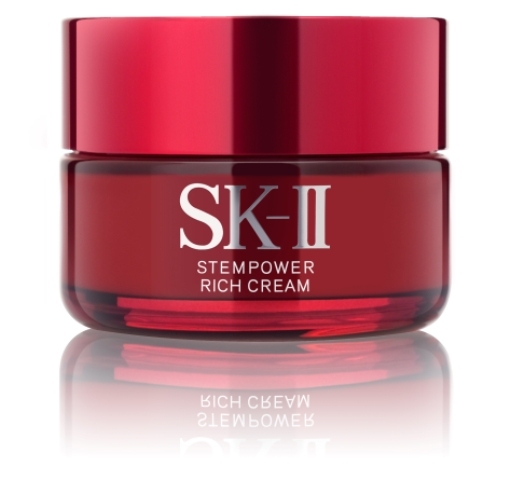 NEW SK-II STEMPOWER Rich Cream is formulated to address skin ageing problems. Powered with the SK-II Stem-Acanax Complex containing Stem-Acanax & PiteraTM, it has 49% more skin conditioning ingredients that helps to protect skin from severe environment conditions & signs of skin ageing. Featuring a rich yet non-greasy texture, the cream contains an SK-II exclusive natural soft fragrance, Olive Olive Natural, for a gentle yet luxurious experience. Facial contours become visibly sharper. 98% of users agreed that their pores were less visible the next morning. 96% of users agreed that they could regain 10 years of beauty in 10 days. 100% of users agreed that they felt a new level of firmness as if skin was renewed in 2 weeks. The new SK-II Skin STEMPOWER Series will be available at SK-II counters in leading department stores from 15 August 2012. Great Product! But i have to work doublely hard to get it. Look great and non greasy. As Always great work Shirley!!! Ash, thks for your lovely comments & have a great weekend! I don't look old but I am not young either. I need this product. Balvinder, u don't look old at all. Love your latest shots & the fun you had! I am a big fan of SK2, have used it for years, I buy them every time I go home, duty free or otherwise. I really want to chk out SKII but man the prices in the US are sky high for this line. It is only available at ultra high end dept stores so when I walk past that counter I feel like if I stop I have to buy sthg. Bess, oh dear! Sounds like it's only for the rich & famous. Hahaha! Be patient & wait till u go for your vacation in Asia, then start shopping. Must try product because I would like to look young too. SKII is the best skin carer product I have used so far. It's still not that popular in Australia, only selling in cities's department stores. I've always wondered if that cream really works. It sells so well as such a hefty price... I know people who swear by it though.